YouTube/WEEIVideoDave Portnoy is a ‘brilliant creator,’ said Erika Nardini, the CEO of Barstool Sports. Erika Nardini is the CEO of Barstool Sports; Dave Portnoy is the founder. Portnoy is known for inciting controversy – he once stormed the lobby of Twitter’s offices and was arrested while protesting Deflategate. But Nardini says that Portnoy is humble, a great listener, and intellectually curious, and that he maintains a real connection with his audience. Erika Nardini remembers hearing stories about Dave Portnoy. Nardini, now the CEO of Barstool Sports, lived in Boston when Dave Portnoy – also known as “El Pres” – founded the digital media company as a free Boston newspaper in 2003. She admired his gumption from afar. 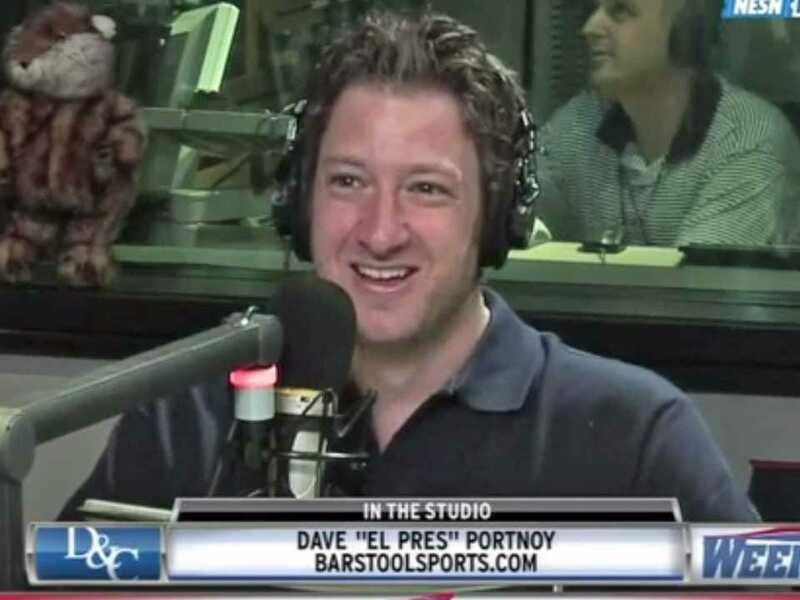 Barstool Sports is a comedy website known for its coverage of news, sports, and women – and Portnoy is known for inciting controversy. In 2015, he was arrested, along with three other Barstool Sports employees, while protesting the NFL’s punishment of Tom Brady and the New England Patriots after Deflategate. In 2016, Portnoy stormed the lobby of Twitter’s offices, demanding to get his account verified. He was also recently in a spat with ESPN and its star anchor Samantha Ponder over sexist remarks his team made about her three years ago, leading the network to drop Barstool’s TV show after one episode. Nardini first met Portnoy over coffee in 2016, while she was working for Bkstg (pronounced “backstage”), a direct-to-consumer platform for music artists. Nardini describes a tamer Portnoy in person. After a few more coffee meetings, Nardini realised she wanted to work at Barstool Sports. Today, the company is worth about $US100 million, according to Bloomberg, and 8 million “Stoolies” visit the site several times every day. Nardini praised a connection she says Portnoy and the rest of the leadership team have with Barstool Sports’ audience.